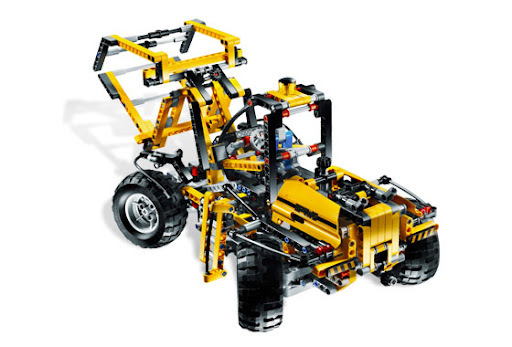 See below, two photos for the new Telescopic Handler (8295) B-model. Quite unexpected, but nice looking isn't it!? 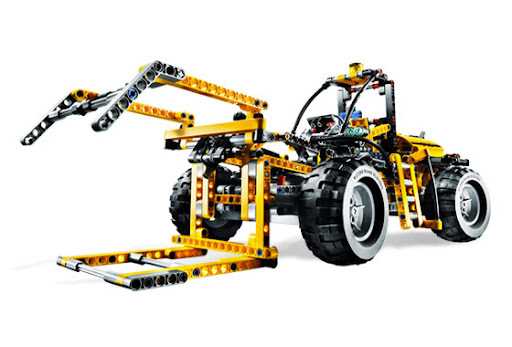 Meanwhile also the final box artwork versions for the remaining new TECHNIC sets, below (from Whung Brickshelf folder). Also, the Telehandler's B-model looks based on the A-model: similar chassis and cockpit (although the latter is in a different place), just like the Excavator.